Home/Cyber Security/What Is a Botnet and Is Your Computer Part of One? Peer-to-Peer: A peer-to-peer (P2P) botnet tries to stop security programs and researchers identifying specific C2 servers by creating a decentralized network. A P2P network is more advanced, in some ways, than a client-server model. Furthermore, their architecture differs from how most envision. Instead of a single network of interconnected infected devices communicating via IP addresses, operators prefer to use zombie devices connected to nodes, in turn, connected to one another and the main communication server. The idea is that there are simply too many interconnected but separate nodes to take down simultaneously. Smartphones and tablets aren’t secure, either. Android has seen several botnets throughout the past few years. Android is an easy target: it is open source, has multiple operating system versions, and numerous vulnerabilities at any one time. Don’t rejoice so quickly, iOS users. There have been a couple of malware variants targeting Apple mobile devices, although usually limited to jailbroken iPhones with security vulnerabilities. Another core botnet device target is a vulnerable router. Routers running old and insecure firmware are easy targets for botnets, and many owners will not realize that their internet portal carries an infection. Similarly, a simply staggering amount of internet users fail to change the default settings on their routers after installation. Like IoT devices, this allows malware to propagate at a staggering rate, with little resistance met in the infection of thousands of devices. I’m going to use the GameOver Zeus (GOZ) botnet as a takedown example. 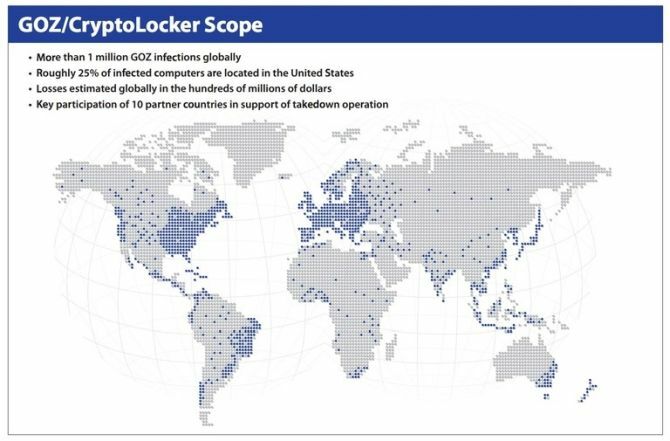 GOZ was one of the biggest recent botnets, thought to have over one million infected devices at its peak. The botnet’s primary use was monetary theft (distributing the CryptoLocker ransomware) and spam mail and, using a sophisticated peer-to-peer domain generating algorithm, appeared to be unstoppable. 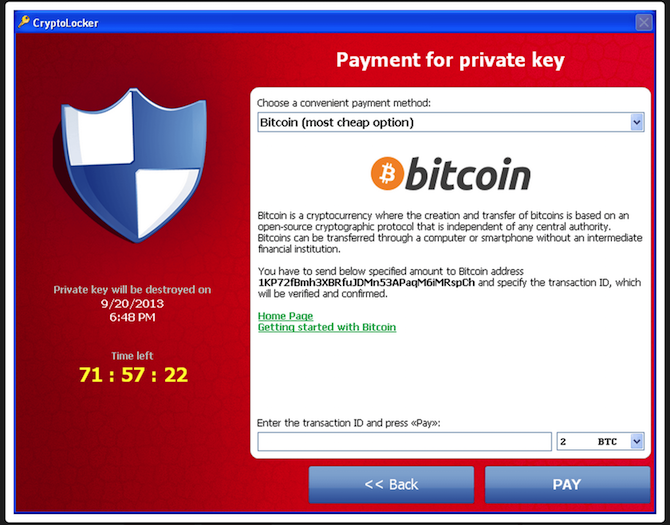 In the aftermath, the researchers were able to crack the notorious CryptoLocker ransomware encryption, creating free decryption tools for victims. In 2016, the biggest and baddest botnet was Mirai. Before its partial takedown, the Internet of Things-based Mirai botnet hit several prominent targets with staggering DDoS attacks. One such attack hit security researcher Brian Krebs’ blog with 620Gbps, eventually forcing Krebs’ DDoS protection to drop him as a client. Another attack in the following days hit French cloud-hosting provider OVH with 1.2Tbps in the largest attack ever seen. The below image illustrates how many countries Mirai hit.Why Your Crypto Coin Is Not as Secure as You Think, Including Morocco. 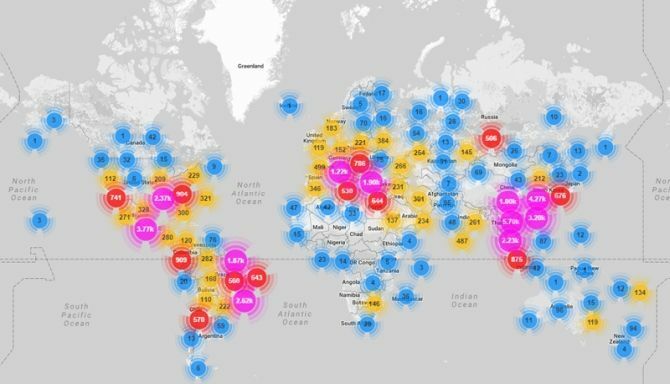 Though Mirai wasn’t even close to being the largest botnet ever seen, it produced the largest attacks. Mirai made devastating use of the swathes of ridiculously insecure IoT devices, using a list of 62 insecure default passwords to amass devices (admin/admin was top of the list, go figure).Is Your Smart Home at Risk From Internet of Things Vulnerabilities? We’ve learned about what a botnet does, how they grow, and more. But how do you stop your device becoming part of one? Well, the first answer is simple: update your system. Regular updates patch vulnerable holes in your operating system, in turn cutting the avenues for exploitation. The second is download and update an antivirus program, and an antimalware program, too. There are numerous free antivirus suites out there that offer excellent, low impact protection. Invest in an antimalware program, like Malwarebytes. A Malwarebytes Premium subscription will set you back $24.95 for the year, giving you real-time malware protection. Well worth the investment, in my opinion.